Bacon will lead you to eternal happiness. Read the Book of Bacon and be made whole. 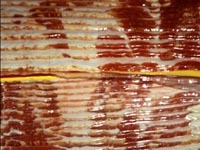 A story of a true Bacon saint.